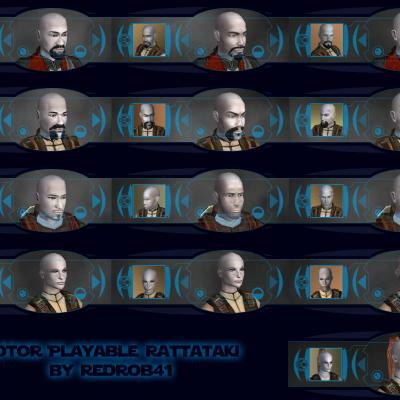 This mod will add 9 playable Rattataki males, & 4 females. 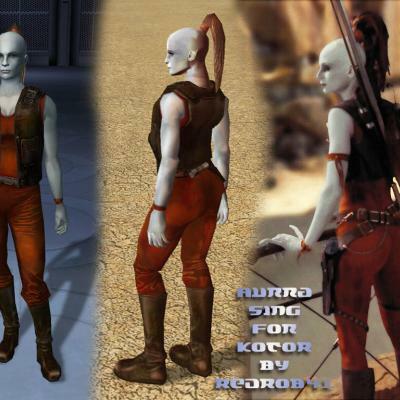 The females are Asajj Ventress (from the comics & 2D animated features), a second Asajj Ventress (from the 3D Clone Wars animation), a new nameless Rattataki, and Aurra Sing (who is half human and close enough to Rattataki that I included her). The 3D Asajj will install with a more angular face, similar to the cartoon. 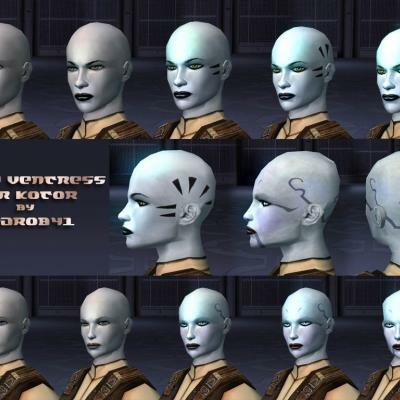 If you don't like this look, and would like a head model that is better suited for KotOR, then there is an extra directory with an extra model for her. 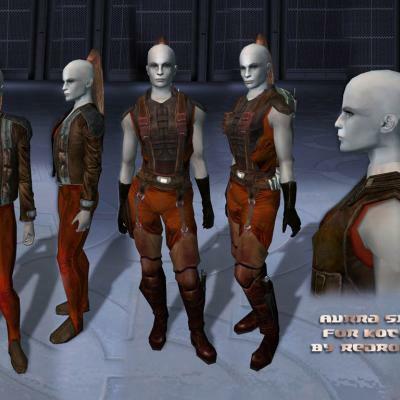 Aurra Sing's basic clothes have been changed so as to be similar to her standard red jumpsuit and brown vest (the scout will look the most similar). Rattatki are near human in appearance, except for thier chalk white skin and bald heads. Males have elaborately styled beards and mustaches (as seen in Star Wars Republic #60: Hate and Fear). For their Dark Side transitions, I chose to start them with a touch of warm skin tones (LS), and gradually they become more pale, and eventually white (DS). They also have eyes that slowly change to Sith red & yellow, exceft for the 3D Asajj, whose eyes become brightly glowing blue. I can't remember if the unique Dark Side underwear for Asajj Ventress is new or not.